Providing a helping hand to those in need is an act that pays on both ends. Helping others helps you value your own life more, but can be tricky if you feel you are not in a financial position to contribute. With the assistance of accountants at AATAS, you can find a way to reach out to others without risking your own financial welfare. Donating to a non-profit can be a stretch if you can’t find space in your budget or time to give. Qualified accountants at AATAS in your local Cedar City community can find a way to help you serve others by filing your tax-deduction for donating. Not only will you be helping those in need right here in your community, you will also be rewarded financially for your wise investment. Provides toiletries, clothing, and other essential amenities for those breaking free from dangerous and abusive situations. Accepts donations put towards necessary supplies, transportation, housing, relocation and education of victims. They provides safety, help, and education on breaking the cycle of abuse in the community. Their mission to protect those affected by domestic abuse can only be continued through your generous donation. With tax season approaching it is difficult not to get anxious at the thought of carefully combing through your finances while trying to stay organized. Not only will your donation to a non-profit benefit your community, it will also serve you as you prepare your taxes. Seeking an accountant will allow you to finally feel confident about your tax return. Not only will you be able to smile about the service you have done, you will also get to breathe easier knowing your taxes will be deducted. AATAS offers high-quality accounting services to help you get the most out of your finances. Not only will they help you file your tax-deductions for donating, they will also ensure the accuracy of your return. 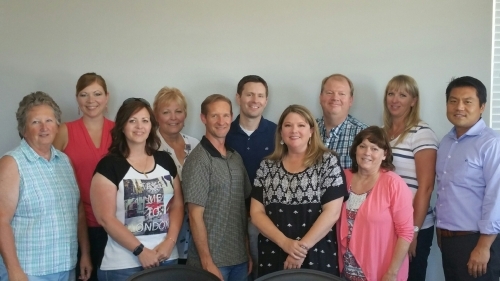 These accountants have served the Cedar City community as well as surrounding towns for many years. They have your best interest in mind. Donating to a non-profit, the Canyon Creek Women’s Crisis Center, will help you and those struggling in your community. Let AATAS help you find a way to donate today.